As a bit of a public service, I’ve come to offer Leverkusen fans a New Year’s resolution they can still institute, even a week after the start of the year, and have a much better disposition toward the world. STOP WORRYING ABOUT YOUR SECOND-TIER STATUS IN THE HEARTS OF THE PEOPLE OF KÖLN! That’s it. You needn’t thank me. I can understand how it’s frustrating to be a consistent presence near the top of the table and in Champions League and have to play second fiddle to a club continually bouncing between the first and second leagues which has absolutely no recent track record in Europe. So many Leverkuseners cannot help but continually utter signs of their frustration with the fact that, despite all the footballing success, especially compared to 1. FC Köln, they do not get the “respect” they feel they’ve earned on the pitch. In today’s edition of “Bayer apparently does not make a decent pharmaceutical solution for self-confidence issues,” an Express interview with Leverkusen’s Stefan Kießling quotes the goal machine as lamenting the disparity in local coverage of the two clubs. Man, that Manchester United is killing us, and it’s all the FC’s fault! Mentally, it’s not a healthy state for a sports entity, in my opinion. Does this constant yearning for public validation hinder an otherwise-dominant club from truly rising to the top? Leverkusen is experiencing, by many measures, their most-successful season EVER. Yet, they maybe should be kicking themselves for the fact they sit seven points behind the most-powerful team in all of Europe at the moment, as Bayer has dropped nine points to clubs generally considered to be mired in relegation concerns, all single-goal shutouts. One should not discount the problems caused by the absence of Sidney Sam due to injury. He’s a great player and clearly is missing in Leverkusen’s attack as the club dropped its last two matches of 2013. But is that enough to explain those results? Especially from a team that generally thinks it deserves much more serious consideration in both the Bundesliga and European discussions? It might be too simple to point to players and management being too concerned about a second-league side and their share of press coverage as a sign of lack of focus. Now, don’t get me wrong. Even should you manage to stick your fingers in your ears and yell “NAH NAH NAH” whenever the Effzeh is mentioned, it’s not going to stop the jabbing, not until you can prove that it no longer bothers you or you can at least pretend it doesn’t well enough to fool the rest of us. Because, as rivals, we relish it. We love how defensive you get when we point to your empty seats, or your choke jobs against inferior clubs, or your wilting during a visit from a European power. We mostly love how you don’t realize that the best thing you could do to annoy us is to pretend we’re not worthy of your attention when we make fun. While I feel certain nobody would exchange the culture of being an 1. FC Köln fan for the “plastic” successes enjoyed in Leverkusen, we’d all otherwise do just about anything to be playing where Leverkusen consistently does. And, trust me, when Schmadtke and Stöger get us there, we’re going to be more annoying than ever. 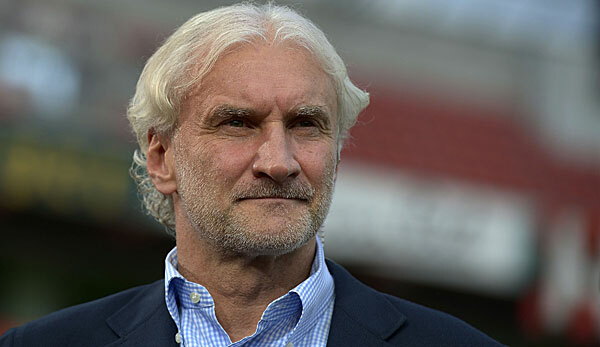 Völler, you’re going to lose a LOT of sleep. Bank on it. 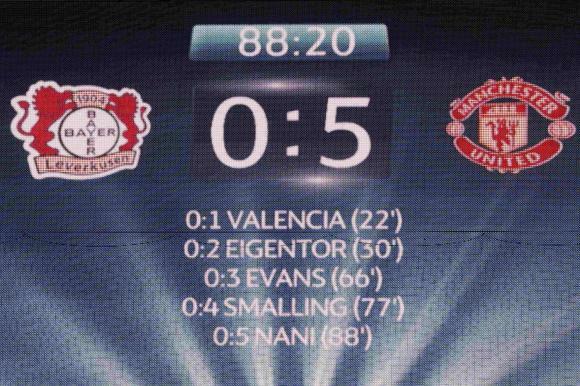 If you’re a Bayer fan and read this, I put this here for you because…well, it’s a sort of love, I suppose. Be the first to comment on "The Neighbors and their Confidence Issues"